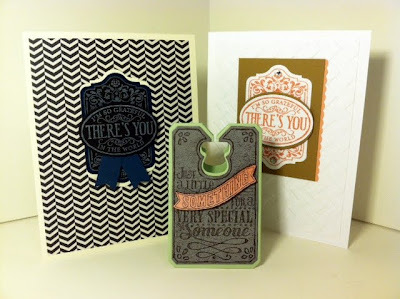 We made these creations at Stamp Club last week. I can't get enough of the "chalk" look technique. 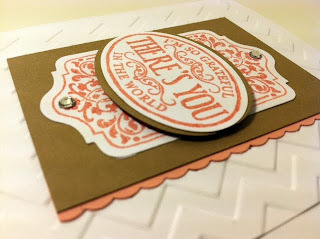 Using the Chalk Talk stamp set with the coordinating framelits makes easy work of this technique. 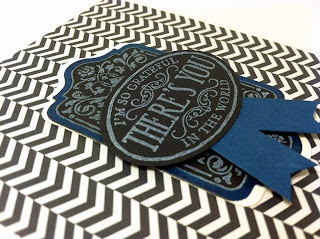 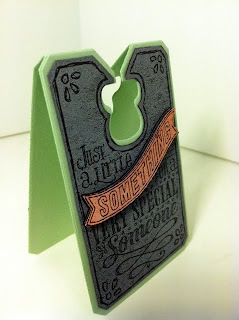 For this simple tag, just stamp in Craft White ink on black card stock, cut out. 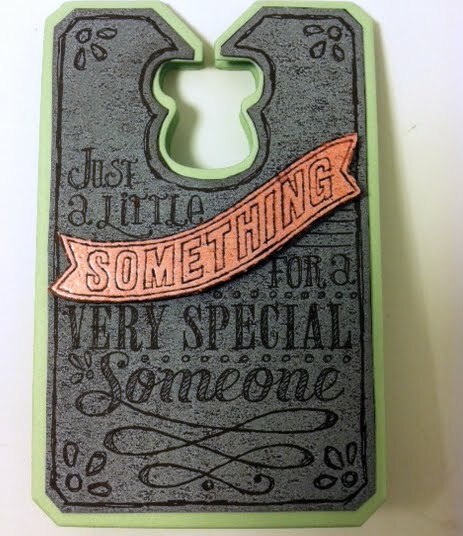 Stamp again with Versamark ink on Crisp Cantaloupe card stock, embossing with clear embossing powder, sponge with Brown Sugar ink, and cut out the Something message. Using the coordinating framelits, fold Pistachio Pudding card stock the lay framelit just a bit past the top fold and run through the Big Shot. 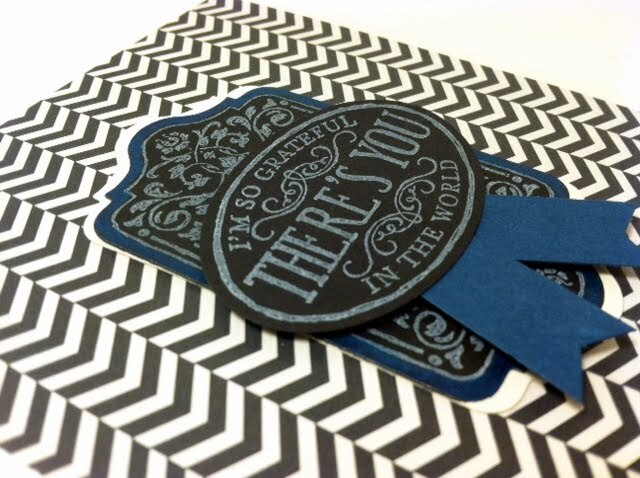 Cuts the tag and gives you a little card all at the same time.